OSHA has updated their form 2201 General Industry Digest for 2012. This publication provides a general overview of standards-related topics. This publication does not alter or determine compliance responsibilities which are set forth in OSHA standards and the Occupational Safety and Health Act. The General Industry Digest was last published in 2001. 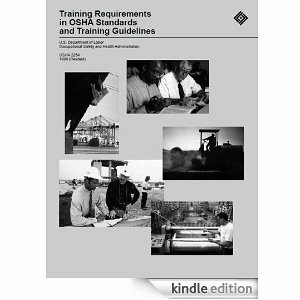 It summarizes the requirements of OSHA’s general industry safety and health standards. It is a good single source document to make you aware of key occupational safety issues. As enforcement policy may change over time, and be different between different state enforcement agencies (or field personnel) this guide should not be considered authoritative- merely informational. For additional guidance on OSHA compliance requirements, the reader should consult current administrative interpretations and decisions by the Occupational Safety and Health Review Commission and the courts as well as the specific regulations which can be found online.